Our Little Family: One Month Old! 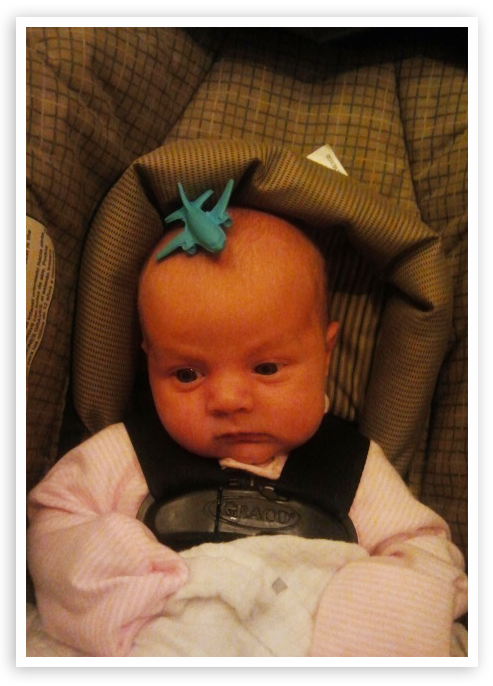 Life with our little lady has been pure bliss for our family! 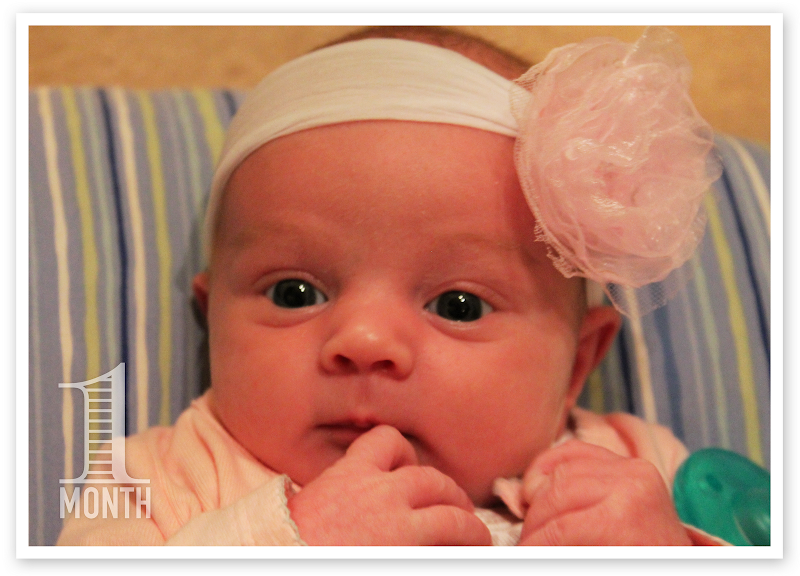 We've loved every second of having her precious little spirit in our home and simply cannot get enough of her! We spent this past weekend down in Mesa, Arizona visiting Mike's side of the family, which means Lilly got to take her first flight! She did awesome and slept the whole way there and back. 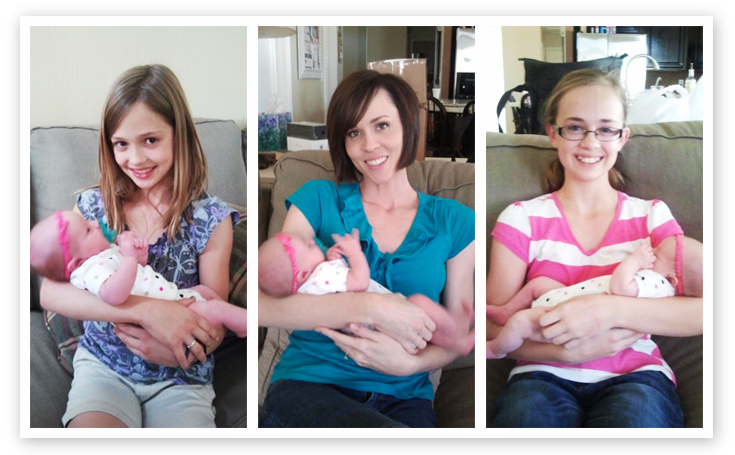 Lilly got to meet her cousin Jenna, aunt Jessica, and cousin Grace. 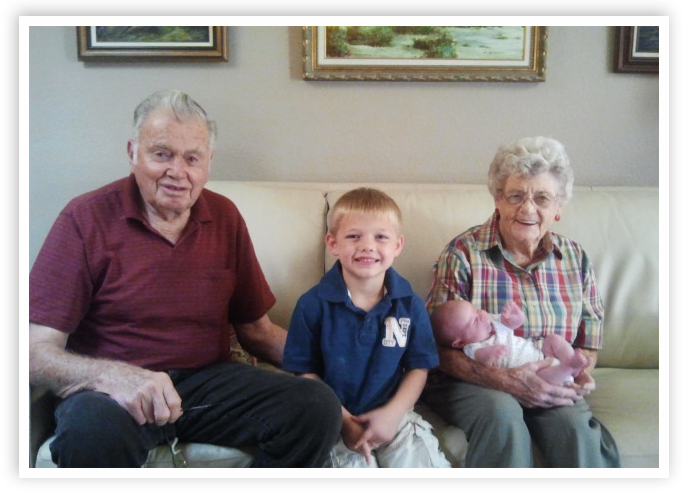 We stayed with Grandma & Grandad Jones (Mike's mom's parents). Grandma Jones made Lilly a cute little bed to sleep in out of a vacuum cleaner box. Lilly loved it and slept 8 hours straight two of the three nights we were there. It was wonderful! 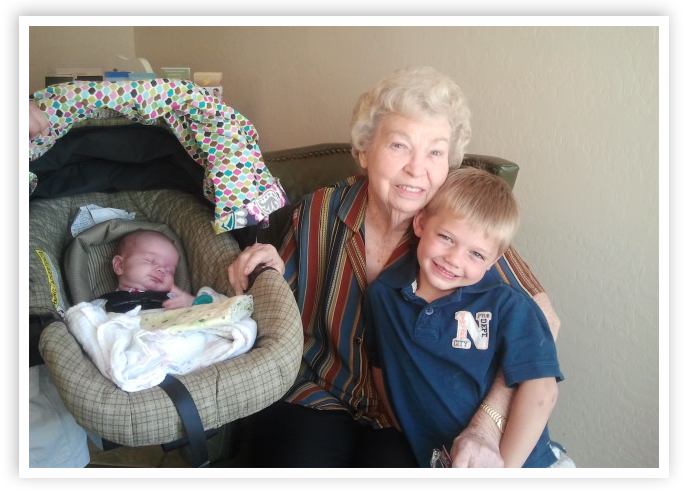 Lilly also got to meet Grammy Miller (Mike's dad's mom) and loved spending time with her. 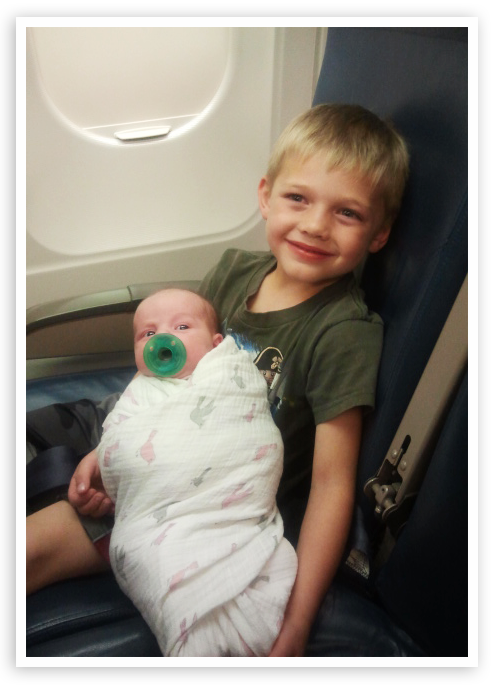 Bryson absolutely adores his cousin Jenna. 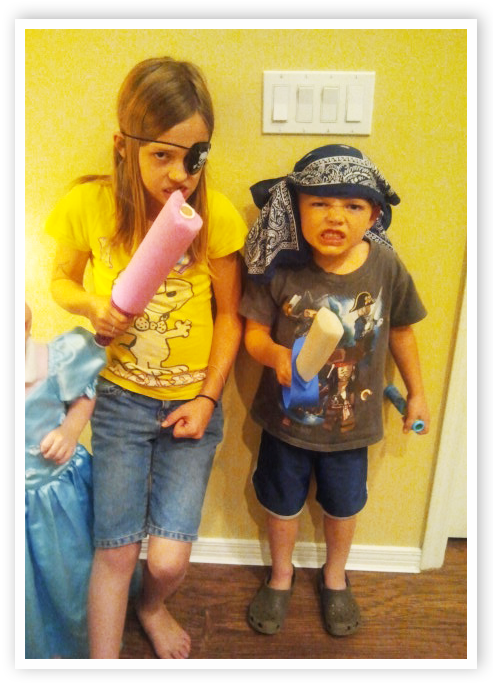 She was so cute with him and came up with all sorts of fun pirate activities to play with him. He was in heaven! 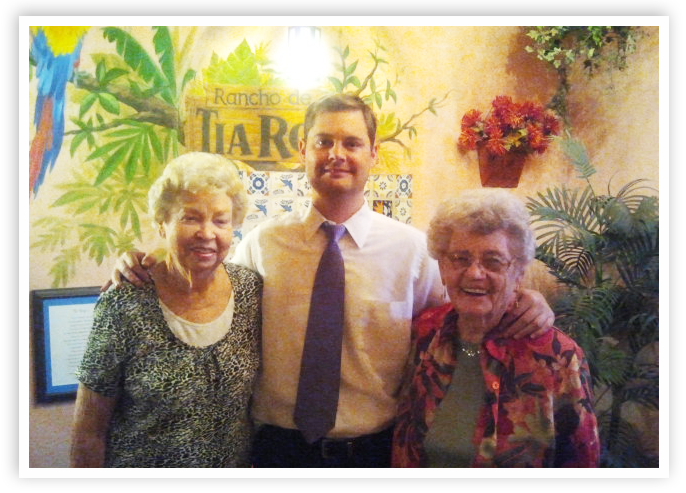 Mike is so sweet to his two grandma's and has so much respect and love for them! It was wonderful to spend the weekend with them.